The 2013 Apple rumour mill is likely to be focused on the possibility of a flatscreen iTV set, but here's one for you to chew on over the New Year festivities: Reports in China suggest that Apple has teamed up with Intel to build an iWatch. Chinese site TGBUS claimed to have received word from supply chain sources that Apple is working on a smartwatch that would bring iOS and Siri to the wrist and connect with an iPhone or iPad via low-power Bluetooth 4.0 tech. The iWatch, according to the site, will be powered by Intel chips as part of the processing giant's move into mobile. The smartwatch could have a 1.5-inch touchscreen, much like the previous generation iPod nano, and would allow users to control the iPhone through touch or Siri voice commands, while allowing users to keep the device safely in their pockets. 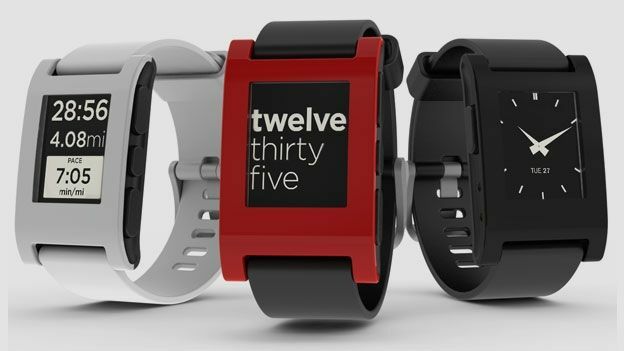 The demand for a wrist accessory to control smartphones was recently evidenced by the phenomenally successful Pebble Smartwatch project (pictured), which raised $10m (£6.2m) from over 70,000 backers on the popular crowd-sourcing site Kickstarter. Naturally, the report can be taken with a pinch of salt at the moment, but the possibilities are intriguing. Would you be interested in an iOS-powered Apple smartwatch? Let us know your thoughts in the comments section below.